This duffle bag is one of the most distinguished products known for its convenience and the way it is being carried. 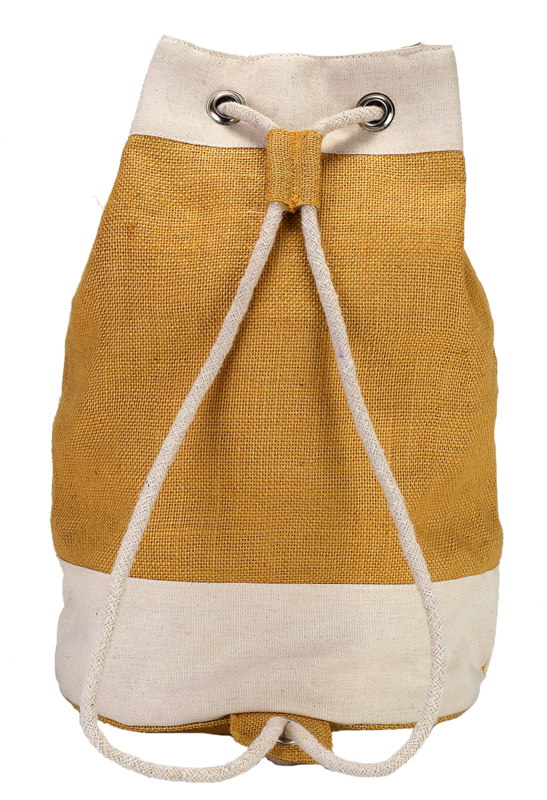 Though it is a duffle bag, but represents a hardy drawstring bag that you can carry on your back. 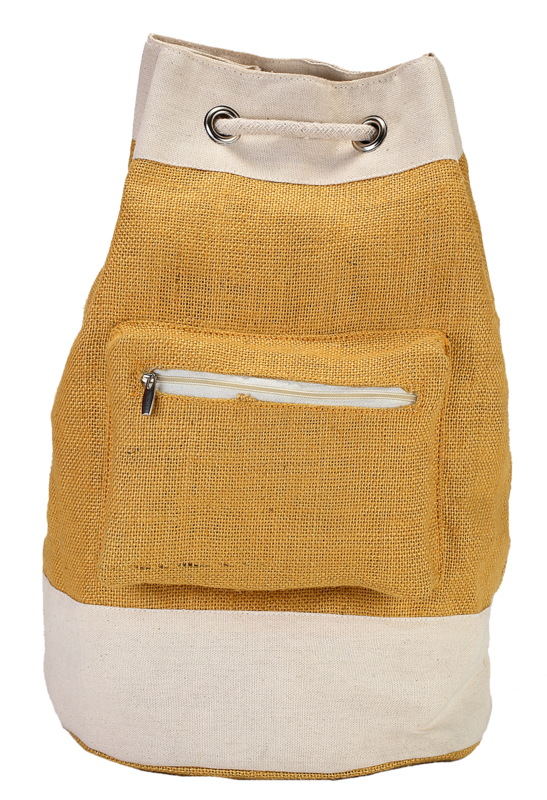 It is made from Jute fabric and has white and yellow contrasting body that elevates the beauty of the product. With 41 cm in height, 38 cm in width and 23 cm in depth, this bag serves an adequate space to accommodate your luggage. 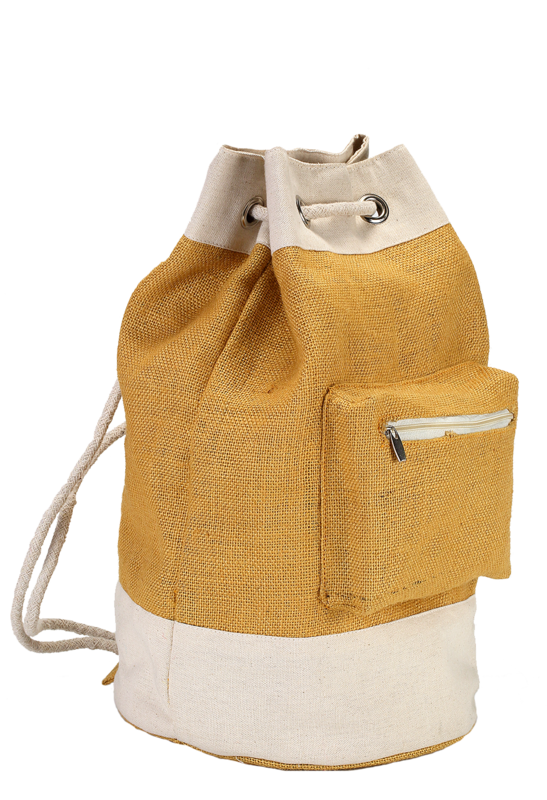 Apart from its interior, this bag has a front zipper pocket to keep smaller things safely. Thus, for the best journey, you can certainly count on this bag and make your trip memorable.